Now that the long days of summer are over and the seasons are changing, it’s officially time to start thinking about getting your home ready for winter. While we’re sure you have a mile-long list of home improvement projects that need to be finished before the weather gets even colder, there is one thing we want to make sure you don’t forget this year. Maintaining and winterizing your air conditioning unit is just as important as prepping your home and yard for the coldest months of the year, since most of us won’t be needing it for quite a few months and any issues left over the winter could potentially damage your unit. If you don’t know where to start with end-of-the-year AC maintenance, don’t worry because we’ve got your covered. Here are a few of the things you need to do to service and store your air conditioning unit this fall. Homeowners with air conditioning probably already know that it is good practice to regularly check and clean your unit’s filters, but the energy professionals at the U.S. Department of Energy put this step at the top of their AC maintenance list for a reason—your air conditioning simply won’t work as well if your filters are clogged or damaged. Although you are most likely already checking and cleaning your filters throughout the cooling period, we recommend one last check after you’ve switched your unit off and your furnace on. This cleaning is especially important if you have pets or live in a particularly dusty area. 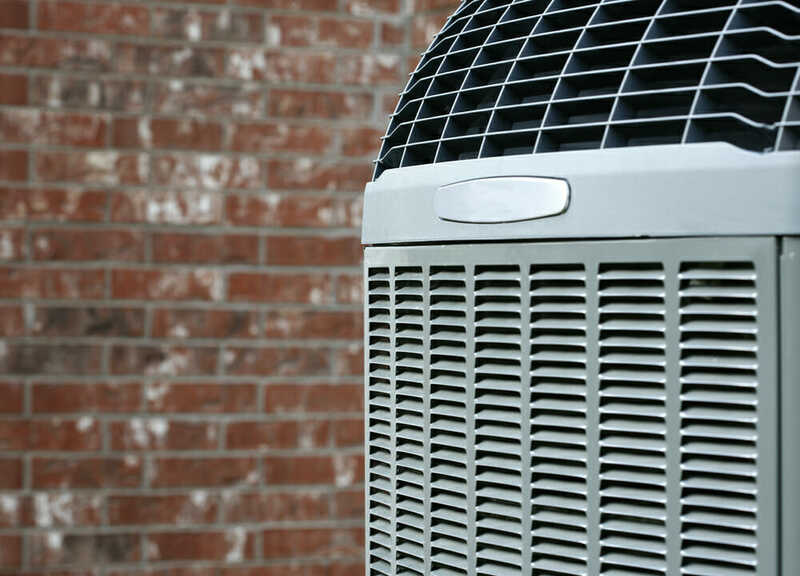 The Department of Energy also recommends that homeowners examine and clean the evaporator coils of an AC unit annually, either before or after the cooling season. Even if you’ve done this in the spring, it can’t hurt to double check that your coils are clean so you can save yourself time and stress in the spring. It’s also essential that your unit’s exterior condenser coil is clean, undamaged, and free from debris before you put your AC to bed for the winter. Removing leaves and dirt from around the unit and trimming back bushes and foliage near the condenser will minimize the risk of debris entering your unit over the winter months. From time to time, the fins on your unit’s coils can become distorted or damaged, so we recommend using a fin comb (available from your local home improvement store or online if you don’t have one already) to straighten the aluminum coil fins on both the condenser and evaporator portions of your AC unit. If these fins appear to be severely bent or even broken, call an HVAC professional to get this problem sorted before you’ve forgotten about it for the winter. The final step for end-of-the-season air conditioner maintenance is making your unit ready for the coldest months of the year. Turn off your air conditioner at the mains, cover or remove smaller window boxes, and decide whether or not you want to cover your large exterior AC units. There is some debate as to the best way to store your unit during winter, since mold and mildew can build up around the coils if no air is getting to the unit. Use your best judgment here and, if in doubt, contact a professional for advice. Whether or not you decide to cover your external AC unit, we recommend that you check on these exterior parts over the winter months to prevent the buildup of potentially damaging snow, ice, or debris. If you feel confident that you can complete these routine maintenance steps yourself, you can follow our advice and a step by step maintenance tutorial—we love this straightforward pictorial guide from DIY Network. If your AC unit has more complicated issues or you don’t feel up to the challenge, you can bring in a professional to examine and perform any regular maintenance and end of season repair jobs. Finally, remember that HVAC is complicated and technologically complex, so do not hesitate to call a professional for guidance or maintenance if you have questions or concerns. The expense here is relatively low and we promise that it will be more than worth it, since it will give you peace of mind and help your AC unit to perform better over time.